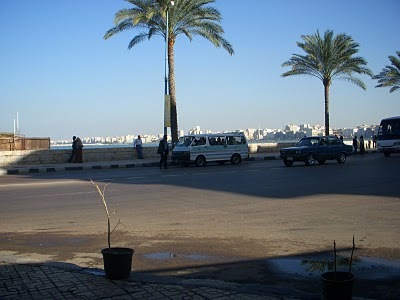 Today was a very nice sunny day in Alex. I learned a new word. “Bos Shouff” Meaning “only looking” It sounds like buzz off and if they don’t? then I say shouff, shouff pronounced shoe-ff, if you know what I mean. 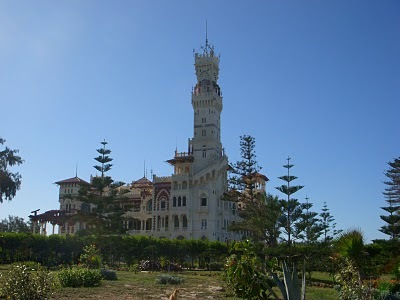 Today I went out to the Montazah Palace Gardens. 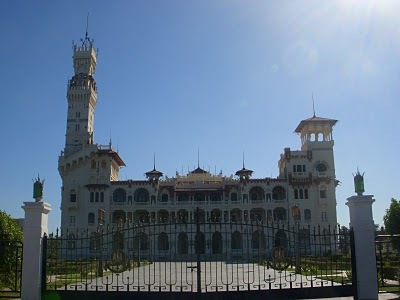 It is the castle where the last king of Egypt lived, which was British, he left the country in 1956 when they ousted him. Very nice garden area. If your in Alex and looking for some nice green, quite, relaxing time this is the place. A lot of romantics come out here. Egyptians couples walking around holding hands. I decided to take a mini bus. Basically a van which is a taxi, one pound only, and they are packed. Great experience by the way. They pack every van and they carry 15 people. If you find you have a space issue you may want to pass on the mini van. Really, if you have a space issue it would be best to just stay at home. Egypt is not the place for you. The mini bus is the way to go as long as you have an idea where they are going. If they take a turn you may just want to get off and find another one that is heading your direction. A couple of things not to forget if your traveling Egypt. Do not forget a micro absorbent towel, a quick drying one. Don’t forget ear plugs, I don’t think they sell them out here, don’t forget they are use to the noise out here. Also bring an eye mask, some of the doors at the hotels have upper windows. One important item is a day pack and money pouch or belt. I bring my day pack everywhere I go because then I have what I need. Most of all please don’t leave home without your travel guide book, very important, unless you really want to be lost. You might want to bring a mosquito net. If you going high class, staying at expensive hotels, and doing tours please forget all the above. 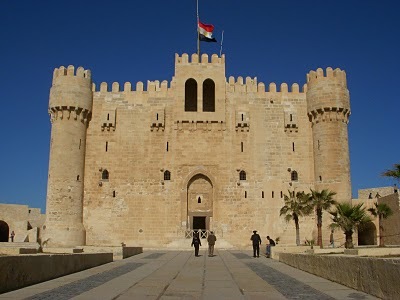 I am planing on going back to Cairo on Thursday, the lady that I met on the plane wants to bring me around some sites and around town. 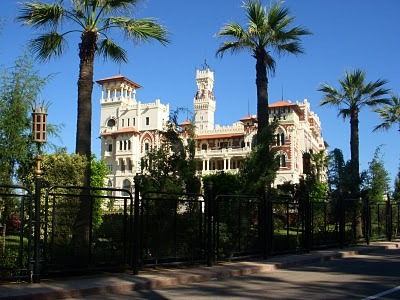 Plus I am going to get my international student ID card from my Cabrillo college card. All the sites will be 50% off, plus some train discounts. I am going to go to the Syrian Embassy to check to see if I can get a visa. If so I will be going from Jordan to Syria to Turkey. After Turkey then from Greece take a boat to Israel or fly a round trip. We will see what is meant to happen. The above was written yesterday Monday, Today is Tuesday. 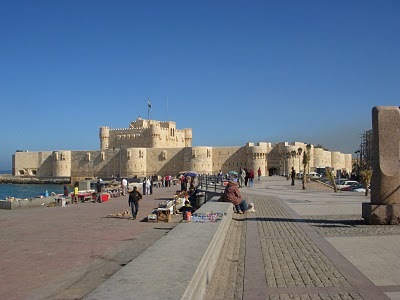 Today I went to Fort Qaitbay where the light house use to be. A grand fort if I have ever seen one. Excellent defence plan. 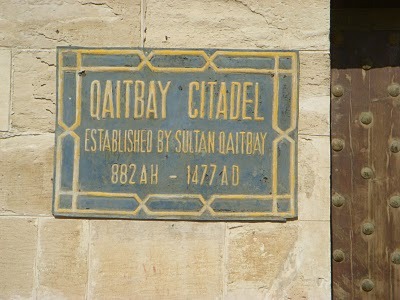 It is really worth seeing, except for dealing with the tourism trouts wanting money. All I have been saying now is “no problem”. 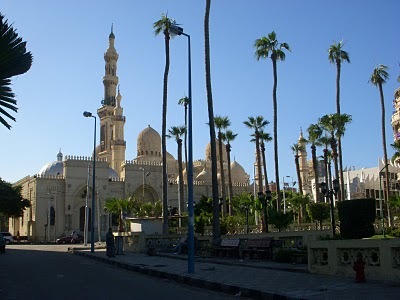 I also went the largest Mosque in town. Basically it’s a big grand building where, mostly men go and pray. There was a small section for the women. There is no Idolatry within the building. They praying is always toward Mecca which is where the stone house is. Long story on the details. The fort is an amazing structure to ponder over. Mark Twain, during his travels pondered and was amazed at many of the things he saw. His biggest complaint was having to carry soap. King of funny, also he has some complaints about his traveling friends. He did not travel alone, it was somewhat of a tour thing. On the way out traveling by ship everyone got sea sick, big problem I guess. I am not done reading his book, the innocents abroad. By the way the fort took my student ID. I only paid half price. Although everyone does want to get tipped. I just act like I have a headache. The barber shops out here shave the men with a straight razor. It could be a new experience since finding a barber in America that would use a straight razor is next to impossible. After reading Mark Twain’s experience in France at the barber my mind seems to talk me out of it. Although I am interested in giving it a try and see how smooth and close the straight razor really does. In America we would call it, “shaving the old fashioned way”. Reading Mark Twain has been very educational, he does write about the disagreeable incidents that happens when traveling. I did page to the back and he writes, while sitting in San Francisco he comments how all the good experiences is what he remember and not the disagreeable incidents that happened. Well it has been a month since my arrival. The first week seemed like a month, although time is moving at the normal pace now. I am very thankful I have time, and I can take my time to thoroughly explore where I want. 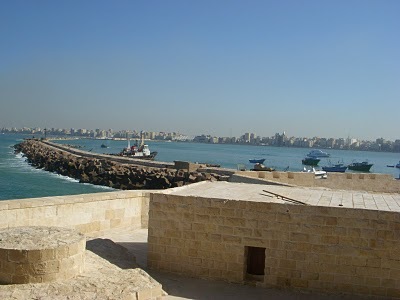 The view of Alex from the Fort. 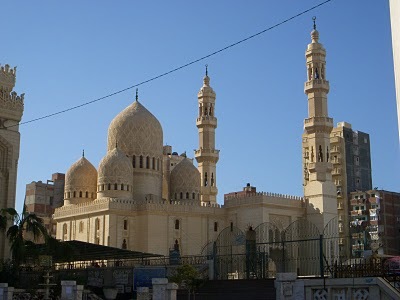 Some nice Mosques of Alex. The below picture is of a mini van. 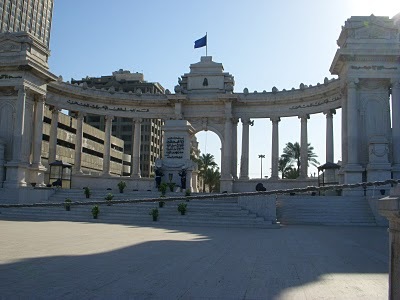 The below picture is of he monument of the unknown solider. Next post: People of Siwa. Previous post: Pictures of Swia. The Coast of Highway One in California. The Former Front Line of Mostar—Bosnia. Slightly Inside the Beaches in Durres—Albania.